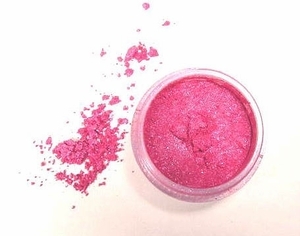 A brilliant fuchsia	(pink) with light blue undertone in our amazing, pure sparkle dust for	lips, eyes and cheeks. Wear wet or dry. Fuchsia pure mineral mica.